Back in September, I reviewed “Pretty Amy” - a book about a teen busted for possession and everything that follows her arrest. It was a pretty powerful story in that it made me sympathise not only with the main character, but nearly every one else. Honestly, if you’re looking to write a complicated parent/child relationship, this is probably the first book I’d point you to. So, naturally, when I got a chance, I went and begged asked if I could get and ARC of “Dear Cassie”. So let this stand in the way of my usual galley disclaimer - I got an advanced reader’s copy from the publishers. I’m also a raving “Pretty Amy” fangirl, so make of that what you will. The book follows Cassie, another one of Amy’s friends, as she goes through rehab and tries to come to terms with the prom night arrest and everything that happened after. Right off the bat, I’d like to say, if I hadn’t already been a fan of this series, hearing who this book is about would have gotten me, hook, line and sinker. If Amy is the girl I most identified with of the three, and Lila is the girl I just can’t figure out, Cassie is the one I admired most - a tough-talking, no-nonsense badass who is not afraid to use her fists (actually, given how I was in eighth grade, I might be identifying with Cassie more). I wanted more of her, and thankfully, this novel didn’t disappoint. Note, please, that by more, I don’t mean just more of the same. Lisa Burstein takes a character whom we didn’t really see much of in the first book, and slowly peels away the layers around her to reveal the real Cassie Wick - a girl not at all like whom I imagined. All in all, I think that “Dear Cassie” is quite a fair successor to “Pretty Amy”. Not only does it do a bang-up job with what it set out to do - offer us an introspective into Cassie’s journey out of childhood - but it also made me incredibly curious about Lila and Aaron. These two are easily the characters I latch on, because of how much intrigue there is about them. In both novels, we only see little glimpses of them - most of it is through Cassie and Amy’s retrospective, and both Lila and Aaron keep their cards close to their chests, so you can never tell what they’re really thinking. “Dear Cassie” adds some layers to those characters, but it only adds to the intrigue. So, absolutely, read this book. I think you’ll be quite surprised by what you find in it. I recommend it… with two caveats. Number one: This is a companion novel, but it reads like a sequel. As such, I would recommend that you read “Pretty Amy” first, if you haven’t already. 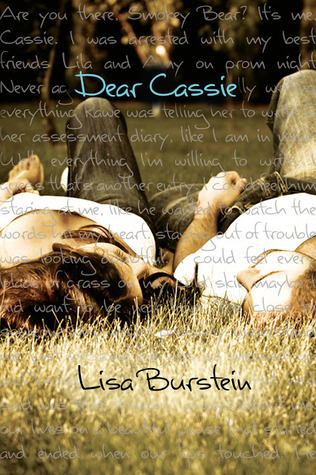 Not that you can’t read “Dear Cassie” as standalone - you can, absolutely - but it won’t feel nearly as complete. For example, I don’t think we even get a decent physical description of Cassie until the last pages, which can be a little confusing for newer readers, and some other major reveals wouldn’t feel quite so poignant if you haven’t read Amy’s book yet. So there’s that. Number two: It’s more of a personal preference, but love interest Ben really didn’t do it in for me. One might argue that his relentlessness was just what Cassie needed, but to me he came off as pushy and entitled. Also, his grand gesture? Makes me wonder why he couldn’t just ask for her number. I know. I have a heart of ice. Still, if you’re wondering which contemporary to read next, I would choose this series. Also, can’t wait for Lila’s book. I have a feeling it’s going to be awesome. A copy of this book was provided by the publishers.